Bruce Tranter is a professor of sociology in the School of Social Sciences. His research interests include climate change attitudes, national identity and environmental movement leaders. He publishes widely in sociological and other social science journals. Bruce Tranter commenced as a lecturer in sociology at the University of Tasmania in 1997. He was employed at the University of Queensland as a senior lecturer in a joint appointment to the Schools of Political Science and International Relations, and Social Sciences in 2003, returning to UTAS in 2005. Bruce Tranter teaches social research methods at honours and undergraduate levels and has teaching expertise in survey research and quantitative data analysis, environmental social movements and social inequality. Bruce Tranter has broad research interests in the social sciences, including environmental social movements and their leaders, political leaders, value change, political attitudes and behaviour and national identity. Tranter is experienced in social survey design and quantitative data analysis. 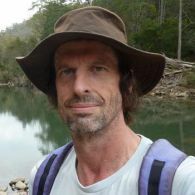 Bruce Tranter's research interests on climate change, environmental attitudes and environmental leaders align with the UTAS research theme Environment, Resources and Sustainability. His research with an interdisciplinary team through the Wicking Dementia and Education Centre is aligned with the UTAS theme Better Health. Bruce Tranter has been Chief Investigator (CI) on 7 Australian Research Council (ARC) Discovery Projects (DP) and an Australian Housing and Urban Research Institute grant 'Loneliness, Housing and Health in Australia' (Adrian Franklin and Bruce Tranter). While working at the University of Queensland, Tranter was a member of two teams awarded ARC Discovery Project funding. He was a chief investigator on 'Neoliberalism, Inequality and Politics: Public Policy and the Transformation of Australian Society' (DP0449516, Mark Western, Janeen Baxter, Jan Pakulski, Bruce Tranter, John Western (2004-2007) also CI on the first wave of the ARC funded longitudinal project: 'Social Futures, Orientations and Identities of Young People in Queensland' (DP0557667), Zlatko Skrbis, Mark Western, Bruce Tranter (2005-2007), also known as the 'Our Lives' study. Both grants were administered by the University of Queensland. Since returning to UTas, Tranter has been a CI on 5 ARC Discovery Projects. These include two additional funding rounds for the 'Our Lives' project 'Social Futures and Life Pathways of young people in Queensland: Waves 4 and 5 of a longitudinal study' (DP130101490) Zlatko Skrbis, Bruce Tranter, Clive Bean (2013-2015) and a current project 'Social Futures and Life Pathways of young people in Queensland: Waves 6 and 7 of a longitudinal study' (DP130101490) Zlatko Skrbis, Bruce Tranter, Cameron Parsell (2016-2019). Both projects are administered by Monash University. Tranter was CI on 'Changing Political Careers in Australia' (DP1096203) Jan Pakulski, Bruce Tranter (2010-2012), and lead CI on 'Leadership and the Construction of Environmental Concerns in Australia' (DP130102154) Bruce Tranter, Libby Lester (2013-2015). His other current project is ‘When Disaster Strikes: Under-insurance in an age of volatility’ (DP170100096) Kate Booth, Bruce Tranter, Christine Eriksen, Shaun French (2017-2019). These three projects were all administered by UTas. Tranter has also recently collaborated with UTas Wicking Dementia Research and Education Centre researchers in the development of the Dementia Knowledge Assessment Scale (DKAS). Bruce Tranter is currently chief investigator on the ARC Discover Project ‘When Disaster Strikes: Under-insurance in an age of volatility’ (DP170100096) Kate Booth, Bruce Tranter, Christine Eriksen, Shaun French (2017-2019) administered through UTas. He is also CI on 'Social Futures and Life Pathways of young people in Queensland: Waves 6 and 7 of a longitudinal study' (DP130101490) Zlatko Skrbis, Bruce Tranter, Cameron Parsell (2016-2019) administered through Monash University. Tranter publishes widely in sociology and other social science journals. He is a member of the Editorial Board of Environmental Communications and the Editorial Advisory Board of Environmental Politics. He has published over 70 refereed articles in international and national journals. The project will involve the quantitative data cleaning, coding, analysis and report writing. Data are from the Salvation Army (Tasmania) social program SAMIS/SHIP databases. The project will involve the preparation of a report that examines social program activities, trends, unmet community needs and gaps in service provision. When natural disasters strike, house and contents insurance provides a key safety net of modern Australian life.Yet many households are under insured or not insured at all. The geographies of inadequate insurance, includingcrucial post-disaster impacts, remains unknown. What is known is that governments and communities tend tobear the costs. This project will collect national data to determine rates of non- and under-insurance, identify keyindicators and factors that influence these rates, and investigate disaster survivors insurance experiences. Thisresearch will strategically improve disaster policy and practice, and contribute to reducing the financial and socialcosts of disasters to governments, communities and householders. This project provides support, training and programs for parents who have had their children removed from their care by Child Protection Services. It will recommend possible improvements to the program. The objective of the project is a professional assessment of services to the target population of problematic substance users and their families as delivered in the 'Throughcare' model. This project assesses the impact of globalisation on the attitudes, behaviours, and life pathways of a cohort of over 7000 young Queenslanders, first surveyed when they were aged 12 and 13. Participants will be followed up when they are aged 19 and 20 and 20/21 to examine their experiences of the transition from school to work, family and social life. This project investigates environmental leadership in Australia in a period of rapid political and media change, for the first time connecting leadership of the Australian environmental movement to the public articulation and negotiation of environmental threats and conflict. By mapping the shifting profile of environmental leadership in Australia and its political and media influences, this research will contribute incisive, evidence-based knowledge to the politics of environmental sustainability. The project examines changes in the recruitment and careers of top Australian politicians, especially in the context of claims of 'de-professionalisation', as indicated by a proliferation of 'periodic' (vs 'career' and 'lifelong') politicians, frequent lateral entries and early exits. It aims to assess the scope, causes, and some political consequences of these changes, especially political elite selection, circulation, and composition in terms of orientations and political skills. PhD Climate Change and Environmental Citizenship: Transition to a Post-Consumerist Future?